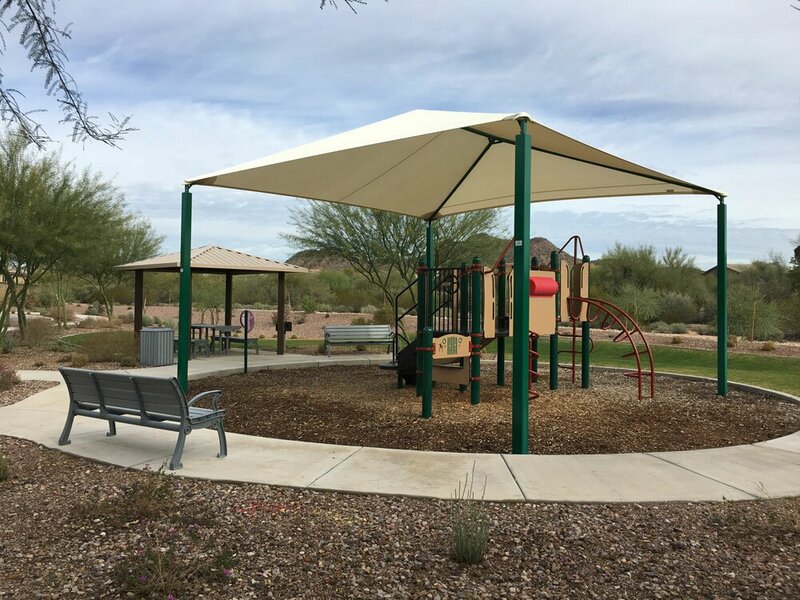 Community amenities include a playground and walking trails. La Solana is in the Deer Valley Unified School District (DVUSD) and is served by Barry Goldwater High School. The primary public K-8 school is Desert Mountain School. See more about nearby public, charter and private schools. See also test scores & enrollment Figures. La Solana is less than 30 minutes from four regional parks for hiking, boating and other outdoor activities. Sky Harbor International Airport is about 35 miles from La Solana. See our North Phoenix Map for an at-a-glance look at attractions in the region. HOME TYPES: Homes range from 1,895 to 3,500 square feet, with three models to choose from. As of January, 2017, all the lots were built and sold except for three model homes and the adjacent parking lot.